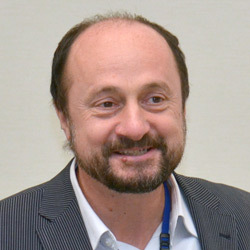 Prof Bart De Strooper has been appointed as director of the UK Dementia Research Institute, and will lead the venture from University College London. In his new role, Prof De Strooper will work with the institute's founding partners - the Medical Research Council, Alzheimer's Society and Alzheimer's Research UK - to develop new therapeutics and diagnostics to accelerate the pace of dementia research. He also serves as the departmental director of the VIB Center for the Biology of Disease at VIB at the Flemish Institute for Biotechnology, and has been a visiting professor at UCL since 2013. Prof De Strooper said: “I am delighted to be directing a world-leading initiative with as much as potential as the UK DRI. “The UK research landscape is brimming with talent and opportunity and, thanks to the NHS, research is closely allied to patients. He added: “I want the Institute to be the most exciting place in the world for breakthrough dementias research. “To achieve this we need to not only join forces and facilitate closer interaction between leading groups currently working in this area, but also bring together talented scientists in completely different and previously overlooked fields that could contribute towards our understanding of the dementias.